There comes a point in time where your instrument skills should be about self-expression, not necessarily showing off through intricacy and advanced techniques. 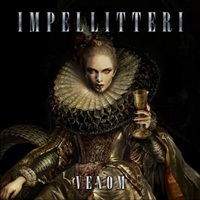 Since the late 1980’s guitarist Chris Impellitteri knows he can dazzle through speed arpeggio/neoclassical licks and lead breaks – what he wishes to push now is the ability to construct memorable songs while injecting those elements for a win/win situation album to album. And unlike the current incarnation of Yngwie J. Malmsteen, Chris knows that he needs a powerhouse singing companion to bring these songs to next level greatness. Thus The Nature of the Beast keeps the excitement from 2015’s Venom on display, while throwing a couple of curveballs in the mix that should delight long-time fans of this brand of heavy metal. This eleventh album finds the four-piece blazing through ten originals and two varied covers, delivering energetic performances all around. 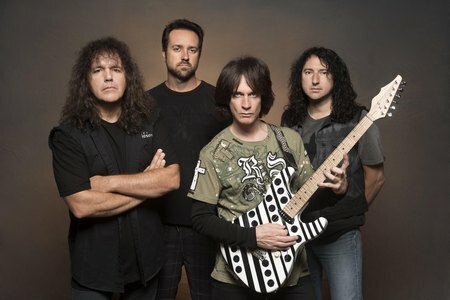 Drummer Jon Dette is a beast at the kit – crisp in his snare hits, relentless in double bass mechanics, and assuring Impellitteri the right kick in the rear tracks like “Run for Your Life” and “Fire It Up” need to get hearts racing. Bassist James Amelio Pulli has the tough task of keeping the low end tight while matching Chris’ shred-oriented advanced play – capable for the job since 1992 as “Wonder World” and the “Unchained”-like Van Halen intro to the modern heavy cut “Kill the Beast” illustrate. 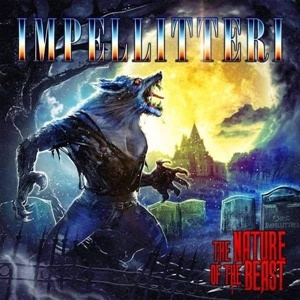 Long running singer of Impellitteri Rob Rock sounds like a man half his age (he’s almost 60) when using all aspects of his range – gritty and forceful during “Hypocrisy”, executing the multiple levels of falsetto in harmony during “Man O War”, plus his comfort in handling the theatrical and operatic nature to the cover of Anthony Lloyd Webber’s “Phantom of the Opera”. And the surprise element of the second cover “Symptom of the Universe” comes up because while Chris’ acknowledges a love of Dio-era Sabbath, that unmistakable opening riff and subsequent swing elements make this ideal to get the revved up Impellitteri treatment. This style of metal fell out of favor in North America once grunge/alternative music exploded – but the diehards still want neoclassical/shred-oriented heavy metal abroad, even though there’s a cult-like appeal here. The Nature of the Beast roars, and should get the job done if this is your aural delight for the genre.